Acting 4 Reel is a new amazing acting studio (Sandy, UT) offering weekly and summer acting classes that focuses on the realm of TV and movie acting. The owner, Coral Chambers, reached out to us and is offering DISCOUNTS and FREEBIES for foster youth and children of foster parents. I have attached some great information that better explains the program. There are also openings for ANYONE interested in attending. Her classes start as young as 10 years old and up (adults, too!). 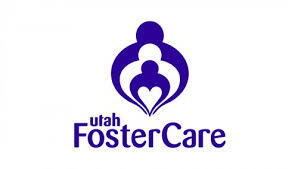 She is offering 15 scholarships for foster youth in the 10-18 range. She is also offering a 20 dollar discount (monthly classes) for bio/adopted children of foster/kinship families. (3) SMA or Social Media Apocalypse: The act of deadening the human condition due to lack of interaction and personal connection. Acting 4 Reel fosters the art of human connection, and inspires a person to take courage in discovering their value through the art of entertainment. Please click on the following link to fill out the RSVP form. It is not necessary to attend the event in order to register your child – but – the scholarships are limited and will go FAST! – I would recommend you attend the event or call her beforehand in order to be considered for the scholarship and/or discount.